LIVE NOW!! 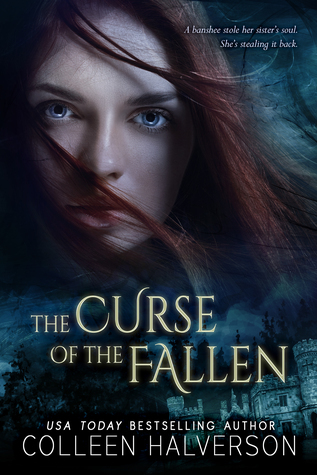 The Curse of the Fallen by Colleen Halverson! Catherine O’Halloran is going to die. Twenty years ago, her sister heard a terrible wail, a relentless keening that no one else could hear. Catherine didn’t believe her—until she saw a banshee crying at their bedroom window the night her sister died. Now Catherine has begun to hear the same wailing, and she knows it’s only a matter of time before the same dark specter pays her a visit. 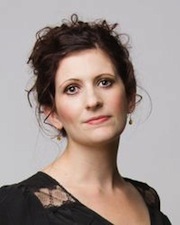 But Catherine has no intention of going gently into that good night, so she travels to Ireland for answers about the banshee’s curse hanging over her family. After a near deadly attack from a malevolent spirit, she meets Liam—a Fae sent to help her. Liam tells her the terrible truth: the banshee is part of a league of Dark Fae that collects human souls. If Catherine doesn’t find a way to stop the banshee, her and her sister’s souls will be lost forever. Catherine and Liam must travel through the past and into the misty Fae underworlds for a miracle. But when Liam reveals he has his own agenda in this war of souls, Catherine must decide between saving herself and her sister’s soul or protecting all of humanity from darkness. “Somehow, I don’t believe that. I have seen how the Fae treat so-called binding laws.” I stared into the garden below writhing in a mass of vines, the giant moon hanging low in the sky, unmoving. The sky remained a bottomless shade of black, a hideous abyss that never changed. How did a garden grow in this eternal night? Despite the shadows, pale flowers bloomed en masse, their delicate faces turned toward the moonlight, seeking whatever life they could find. My reflection in the window stretched across the wretched scene below, a stark face, hollow eyes. “Stop.” I rolled my eyes and blew my hair out of my face. “I don’t care about love,” I exclaimed, throwing my hands in the air. Of course it mattered. It was one thing to give my blood to Liam, as ghastly as that was, but marriage was impossible. In spite of what Liam said, it meant a partnership, closeness, intimacy. Perhaps I could have done that with another Fae, someone who didn’t spark a bolt of electricity down my spine each time his thumb grazed over mine, every time he glanced at me with his big, unnaturally blue eyes. It was never like that with Stephen, or the few partners I had in college. My body was present, and yet faraway. It was the only way I could bear to be touched. The price I paid. A favor, you might say. I transported myself to another place or another time. When I stood next to Liam, though, I was frightfully aware of my body. Every curve, every strand of my hair. My lips dried, forcing me to lick them incessantly, and my hands sweated, making me want to wipe them on my jeans. Even in that moment, all the hairs on the back of my neck rose stick-straight, my senses aware of his hot gaze on my cheek as I stood there dumb, stricken. That’s what he couldn’t understand. It mattered. It mattered too much. “Can I think about it?” I said in a small voice. “It’s never morning here,” I said in a faint voice. I walked to the edge of the bed and sat beside him, meeting his intense gaze. “I’m not tired,” I whispered. The air crackled between us, and his breath was haggard, his pupils dilated. I leaned into it. The kiss. The world crystalized, everything focusing to a fine point, the details sharp and close. I closed my eyes, and his lips pressed to mine, and it was the sun. The morning. Pure light. Whatever scraping darkness pushed against my soul, Liam pushed it back with his mouth, with his hands in my hair. His name bloomed inside of me like one of those pale flowers in the garden, but it wasn’t need I felt. It was joy, the turn of a season like the turn of the earth. And I wanted it to grow. I wanted it so badly.